The 2018 Ceramics Department Exhibtion will be in the Student Life Gallery from November 27th-December 7th. 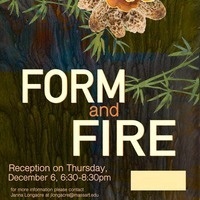 Please join us for a reception on Thursday, December 6th from 6:30-8:30pm. Contact Janna Longacre for more info at jlongacre@massart.edu.